thank you nitin…yes it is so sweet.. Absolutely true.. that’s more than anything else in this world..
thank you so much. Pretty glad that you liked it. Yes true love is always lovely. Indeed it is and thats what makes our life beautiful..
lovely ! <3 True.. It is more than enough for any woman..
yes. you are absolutely right, it’s more than enough for any woman.. This just touched my heart, Akhila. 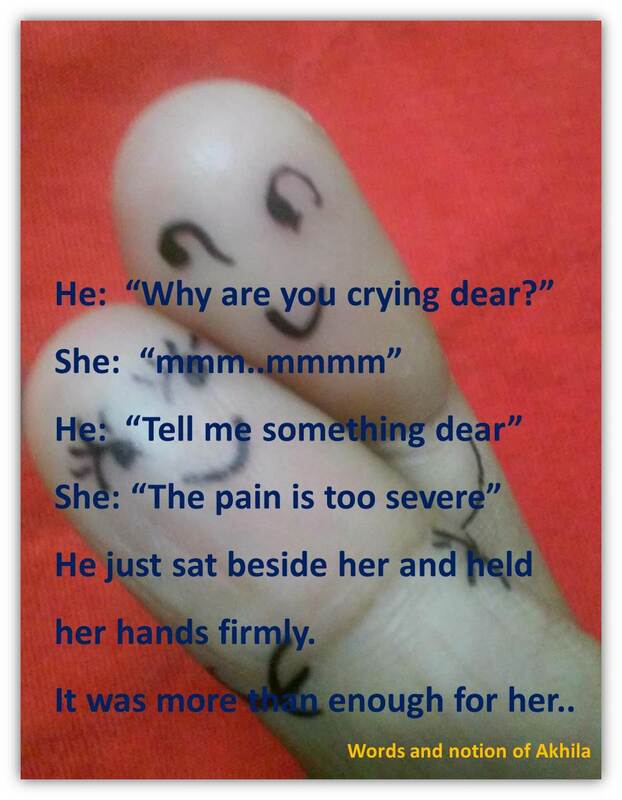 Healing power of touch….I shall write a post on this topic too. Many fail to utilize this God’s gift. As a bday treat, pse post new poems!!!! Awesome and two people simply in love. Great post, Akhila. Yes love is the greatest healer. oh my.. i so much need one like that..
Oh nammude Jim and Viena!